Shenzhen Yu chemical co., LTD., founded in 2007, is a collection of scientific research production and trade as one of the high-tech enterprises. The company has independent brand and the right of import and export trade at present there are three major brand subsidiary, shenzhen yu chemical co., LTD., jiangsu yu chemical co., LTD., xiamen yu chemical co., LTD. Our company is specialized in the production of solvent dyes and black mother, as well as other brand pigments, additives agent, titanium dioxide, etc. 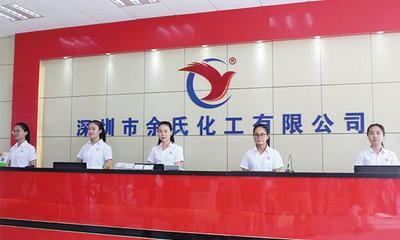 The company has sophisticated production equipment, trained staff, advanced and reasonable production technology, perfect testing process, adhere to and implement the international quality standards, standard management, strives for perfection, to provide customers with excellent products and services. Our company specialized management: solvent dyes, organic pigments, inorganic pigments, pearlescent pigments, fluorescent whitening agent, black mother, fluorescent paint, powder, diffusion agent, titanium dioxide, carbon black and diffusion of oil and other hundreds of products. Widely used in plastics, shoes materials, paint, ink, building materials, stationery, and other fields, in order to "full range, price concessions, timely delivery, technology, service, integrity management" based on the market and establish a good reputation, sales network all over the country. Over the years, we adhered to the "committed to professional, the pursuit of excellence" business philosophy, with "honesty molded brand, create brilliant" quality as the core values. Ysm people forever pursuit is to meet customers' needs and mission, hand in hand with customers to create brilliant tomorrow.